If so, don’t worry. It’s a really common issue and one you can usually fix yourself. 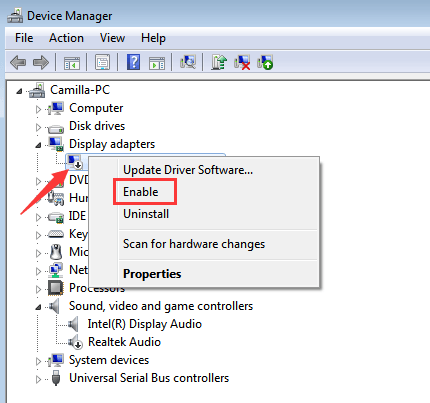 You can install the driver successfully by following the instructions we’ve put together in this article. Installing an incompatible driver can cause this error. 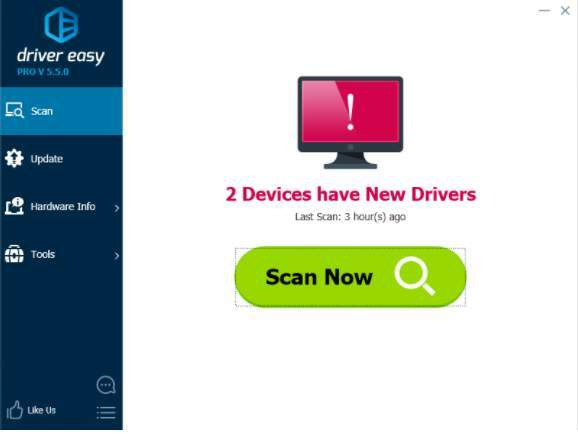 Before you try anything else, you should use Driver Easy to install the driver. It’s as quick and simple as 2 mouse clicks. 3) Click the Update button next to a flagged Nvidia driver to automatically download the correct version of this driver, then you can manually install it (you can do this with the FREE version). Or click Update All to automatically download and install the correct version of all the drivers that are missing or out of date on your system (this requires the Pro version – you’ll be prompted to upgrade when you click Update All). In the below example, you can see that NVIDIA GeForce GTX 1080 needs to be updated. 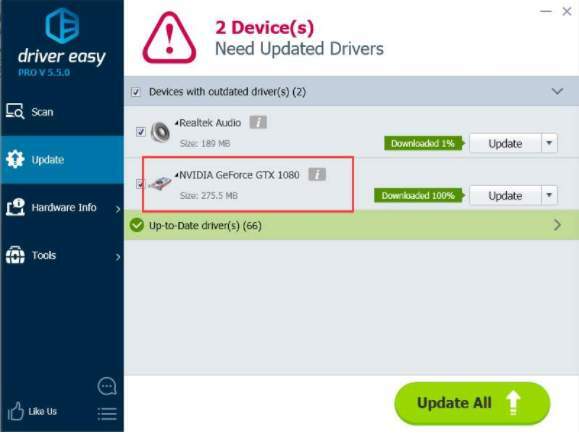 Driver Easy will detect the Nvidia graphics card installed on your computer. 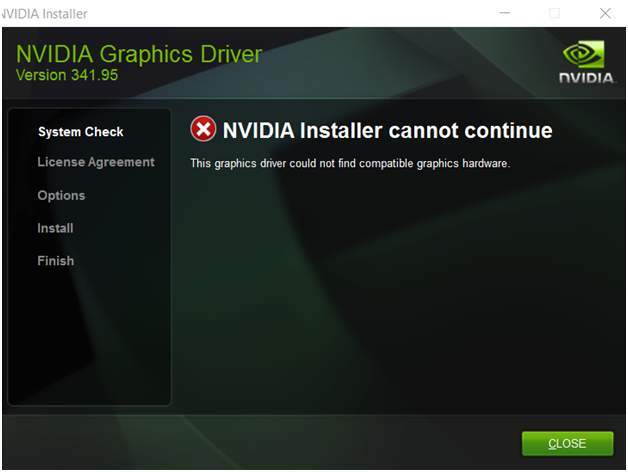 If you can’t install the driver with Driver Easy, the graphics card may be disabled or sending the wrong information. If this happens to you, follow the instructions below to check. 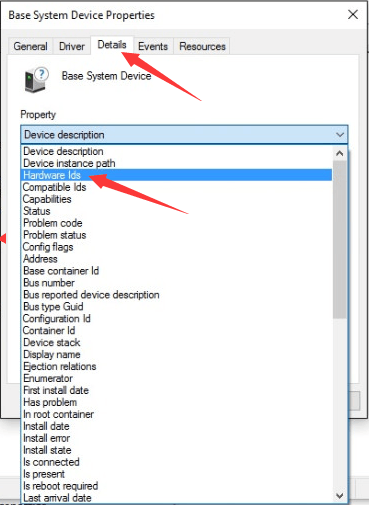 1) Go to Device Manager, if you see a small down arrow next to the device, as shown in the picture below, it’s been disabled. All you need to do is right-click the device and click Enable. 2) Restart your PC if it asks you to. Then reinstall the driver. Under category the “Display adapters“, if you can’t see your graphics card listed, it’s probably not being detected properly. It could be listed under “Other devices” or somewhere else, or coming up as another device name. 1) Right-click on a device with a yellow mark on it and click Properties. 2) Go to the Details tab, select Hardware Ids from the drop-down menu under Property. 3) The Hardware Id Value should be similar to the below screenshot. The VEN code means vendor and the DEV code means device. In the example below, the VEN code is 15AD and the device is 0740. 4) Go to https://pci-ids.ucw.cz/. You use the VEN code and the DEV code you got from Step 3) to find the device. 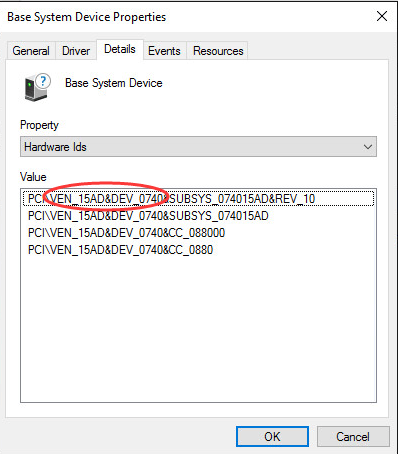 This will give you the device name and the vendor name (NVIDIA). Once you figure out the specific NVIDIA graphics card you have, you should update your driver to the latest version. If you’ve tried these solutions and continue to get an error, let us know! Leave a comment below and we’ll do our best to help.